Need Help On a School Report? GLCVB Has Tons of Info! During the 1830&apos;s, Lansing was known as Biddle City. Jacob Frederick Cooley, Lansing Township&apos;s first permanent resident, settled here in 1837. Joseph North challenged Jacob Cooley&apos;s claim as the first resident. Lansing was named after New York patriot John Lansing. The township was officially created in February, 1847. 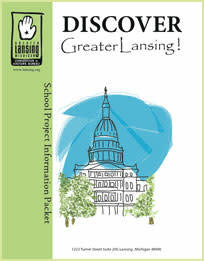 Lansing became the second state capital of Michigan because the first capital, Detroit, was too close to the border and vulnerable to an invasion by British forces of Canada. There were eight registered voters when Lansing became the state capital. A sawmill was the one industry present in Lansing when it became the state capital. 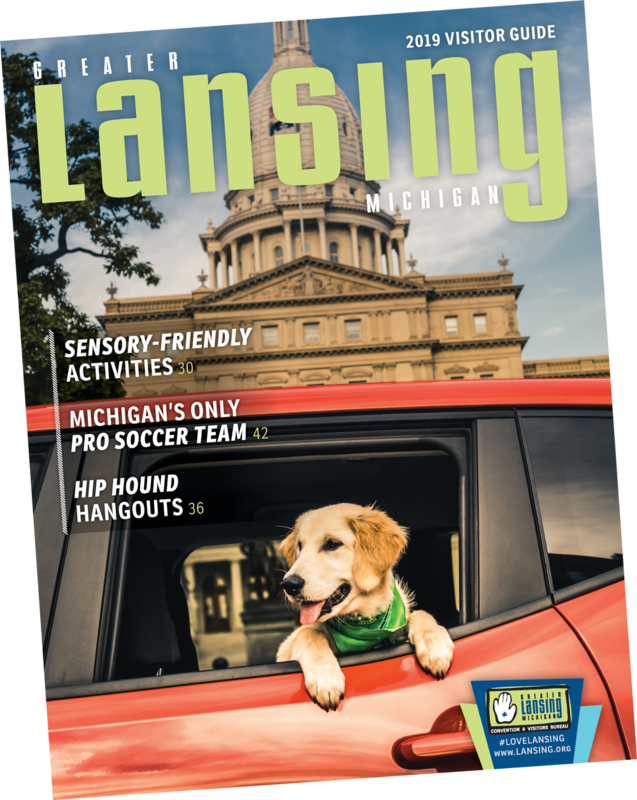 The top three employers in the Lansing area are General Motors Corporation, the State of Michigan and Michigan State University. The Grand River runs through downtown Lansing and is Michigan&apos;s longest river. Ransom Eli Olds (R.E. Olds) founded the Oldsmobile, later a division of General Motors, in 1897. Lansing is located in Ingham County and is the only capital in the United States not located in the county seat. The county seat of Ingham County is Mason, Michigan. Ingham County was named after Samuel D. Ingham, the Secretary of Treasury under President Andrew Jackson. Michigan State University is the only university in the nation to have three medical colleges. They are Human Medicine, Osteopathic Medicine and Veterinary Medicine. Michigan State University was established in 1855, dedicated in 1857, and is the oldest center for the teaching of scientific agriculture in the nation. Michigan State University Museum was organized in the 1860&apos;s and is one of the earliest museums on a university campus in the Midwest. This is the oldest museum located in the Lansing area. Lansing&apos;s first school opened in 1847. The Michigan State Capitol Building was modeled after the nation&apos;s capitol building in Washington D.C.
Elijah Myers designed the Michigan State Capitol Building and it was dedicated on January 1, 1879.